Greg Findlay, an M.D./Ph.D. 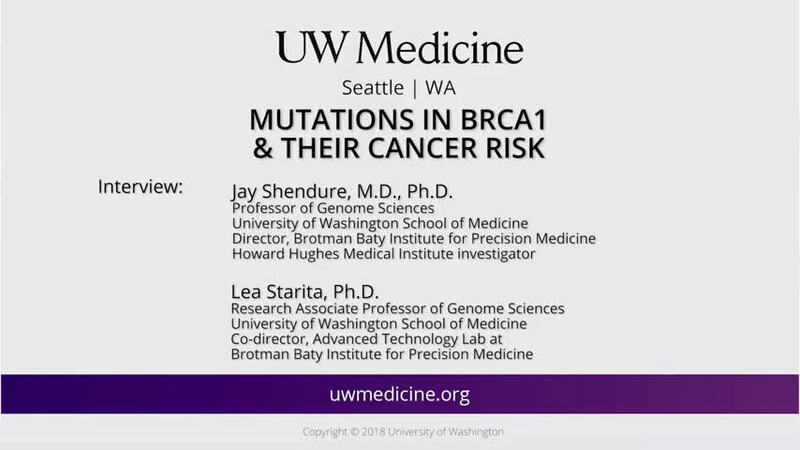 student in the physician-scientist training program at the UW medical school, led the study, which is entitled, "Accurate classification of BRCA1 variants with saturation genome editing." "For example," Shendure said, "I might sequence the BRCA1 gene in a woman and observe that she has a mutation, but I don't know whether that mutation will actually lead to an increased risk of breast cancer or whether it will be perfectly harmless." These variants of uncertain significance, the scientists wrote in their report, fundamentally limit the clinical utility of a patient's genetic information. There is a concern, Findlay said, that women who harbor variants that indeed lead to cancer are not identified during genetic testing, and therefore are not presented with options that might allow them to avoid breast cancer or detect it in its more treatable stages. The BRCA1 gene has been sequenced in millions of women in the United States alone over the past decade. The idea that mutations in a gene could account for some cases of breast cancer, as well as the mapping of the BRCA1 gene's location on chromosome 17, was proposed in 1990 by geneticist and epidemiologist Mary-Clare King, after reviewing breast cancer inheritance patterns in families. King joined the UW medical school faculty in 1995. "Frequently women are being tested for BRCA1 mutations because they have a family history of breast or ovarian cancer," Starita said. "To be told that they have a genetic variant in this cancer predisposing gene, but that the doctor doesn't know what it means, does not reduce their stress or their anxiety." "The challenge with BRCA1 testing, and with genetic testing more generally, is even though the cost of genome sequencing has plummeted, we continue to have trouble interpreting what that information means," Shendure said. "The premise of precision medicine that we've been promising for 10 or 15 years now is that we'll sequence the genomes of ordinary citizens, and that information will improve their health outcomes. We hope this new study brings us one step closer to delivering on that promise." To help clinicians and patients obtain better information about genetic variants, Findlay developed a research approach called 'saturation genome editing'. This method relies on CRISPR, an enzyme tool that cuts strands of DNA to modify its sequence. With it, they made thousands of miniscule revisions in the BRCA1 gene, even changes that have not yet been seen in a human. Then the scientists measured the effects of each mutation to see which ones caused problems in human cells growing in a dish. "Being able to break it down at the level of single base pairs of DNA was pretty exciting," the researchers said. "We found that you can study changes in the BRCA1 gene in the lab, and they reflect with surprising accuracy what happens in a person with that variant. Even though we're working with cells in a dish, when we put changes into the genomes of those cells, and look at the places where the right answers should be, they almost always line up with what we observe in patients." 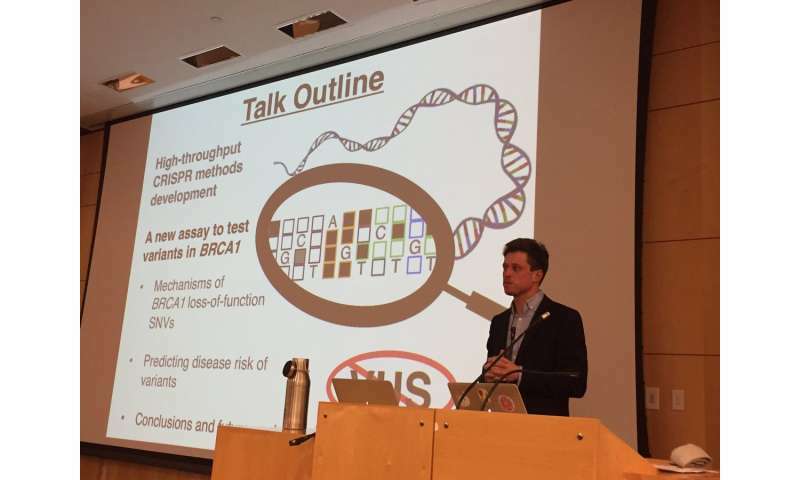 "We are basically categorizing all of the possible changes across critical regions of the BRCA1 gene as either behaving like disease-causing mutations or not," Findlay said. The researchers needed about six months to test almost 4,000 mutations. They are extending this work to cover the entire BRCA1 gene over the next couple of years. "Our hope," Starita said, "is that this database will continue to grow and will become a central point for guiding the interpretation of actionable variants as they are first observed in women." "The ability to study in a dish what will happen in a living, breathing human, at scale, opens up a lot of possibilities in medical genetics," Shendure added. The scientists plan to apply the saturation genome editing methods to other cancer risk genes. "The study serves as a blueprint," Findlay noted, "for how to test rare mutations in important genes that have big consequences for human health."